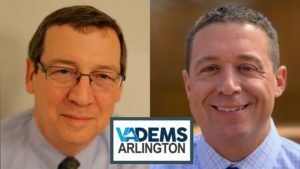 Arlington, VA – August 24, 2018 — The Arlington County Democratic Committee (Arlington Democrats) is excited to host an Interfaith Eid Celebration. 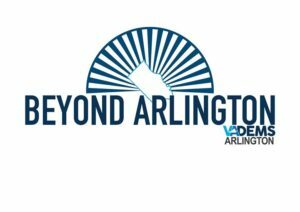 In these times of divisiveness and violence, Arlington Democrats believe it is important for communities to join together to learn about and embrace their similarities. Eid al-Adha celebrates an event all three Abrahamic religions (Judaism, Christianity and Islam) have in common: the story of Abraham’s willingness to sacrifice his son to demonstrate his faith in God. The broader meaning of Eid is the importance of the value of faith, of life, and of charity and service to others. 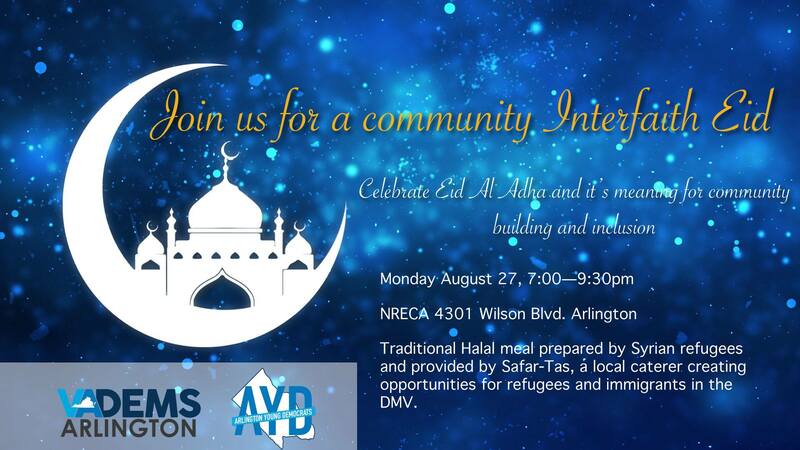 The celebration will take place Monday, August 27, from 7pm – 930pm at NRECA 4301 Wilson Blvd., Arlington. Non-perishable food donation drive led by NoVa Friends of Refugees and benefitting AFAC, in recognition of Eid’s focus on generosity and service to others.